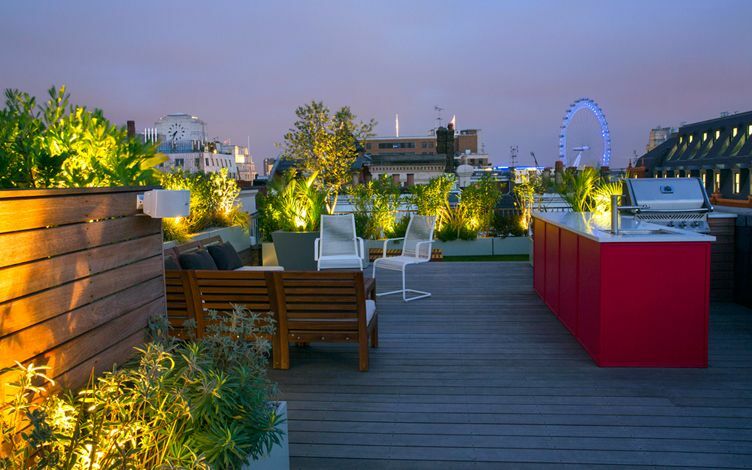 When designing a London roof garden, we utilise its microclimate's potential to the utmost. 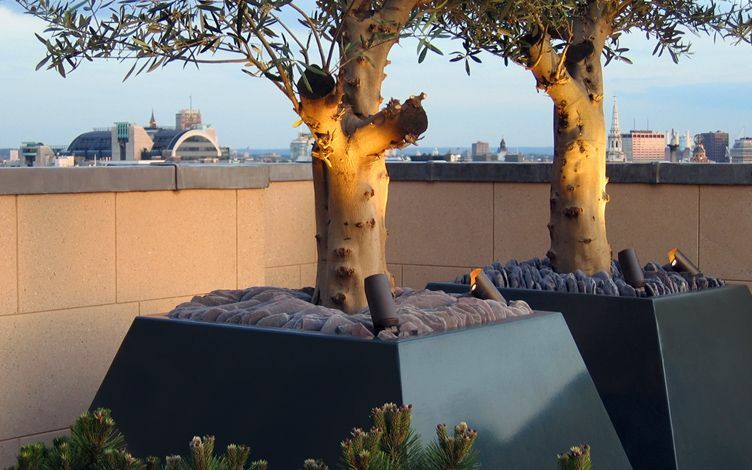 Predisposed to diverse, Mediterranean flora, while immersed in heat produced by thermal expansion, roof gardens enable an extensive plants portfolio, which consistently thrives and withstands gusty wind, pollution and sunrays. 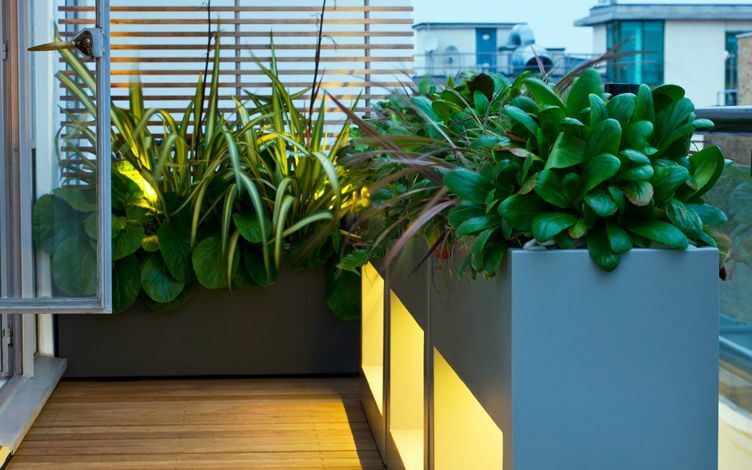 Nowhere else would the phrase ‘right plant right place’ manifest itself more pertinently, and by putting this approach into practice, we create an azure paradise in every urban roof terrace design, where flourishing architectural plants form renewed essence. When London's skyline is absorbed within a roof garden's cohesive framework, a design's immersive, sculptural silhouettes rejuvenate the capital's cosmopolitan horizon. 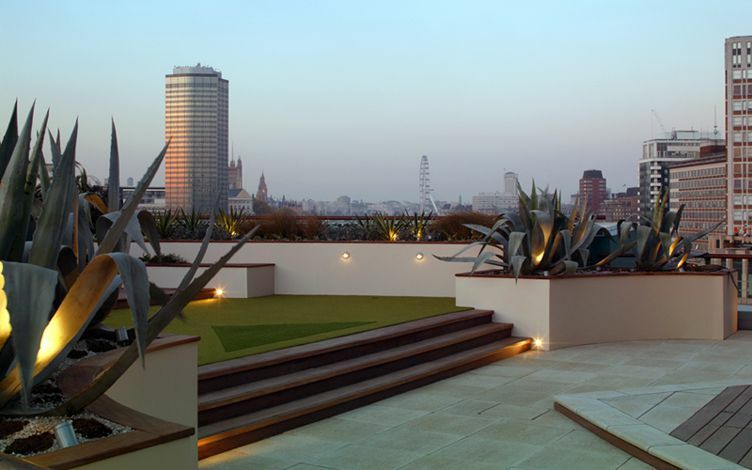 From an up-close St Paul's panorama in a Clerkenwell landscaped terrace to a London Bridge rooftop bird's-eye vista, our roof gardens portfolio weaves itself among a treasured, aerial London landscape encompassing a centuries-old history. As a Londoner, I welcome the adventures brand-new architecture brings, seeing them emerge from the ground up, even if at times feeling somewhat disillusioned by ill-conceived metropolitan construction which hollers with the arrogance of a man-made backdrop. 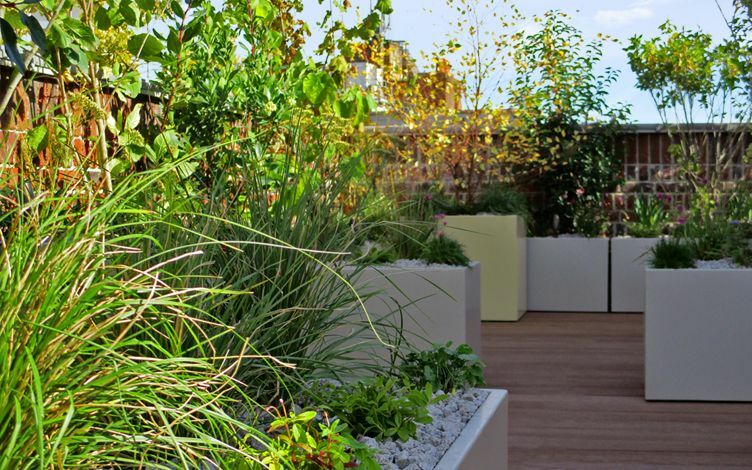 Still, there's always an invigorating energy in the offing when I visit a new roof terrace we're developing, and anticipate the moment its space becomes a garden with a view – a bona fide London roof garden in a personal sky-high retreat! 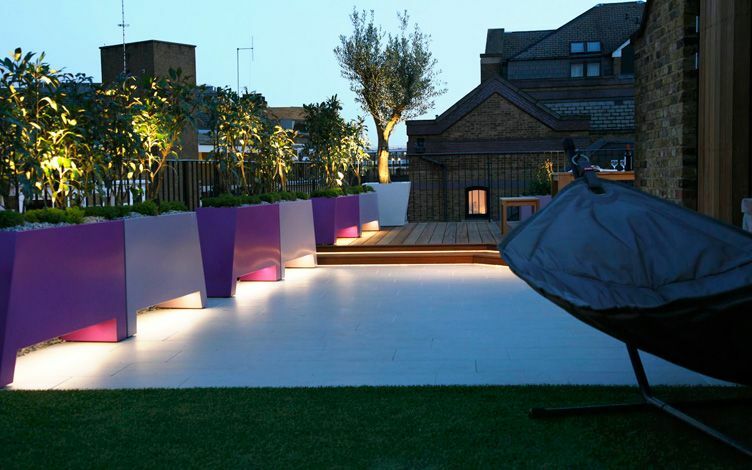 Our intimate sense of place, and environmental impact factors, form key design elements when creating a new roof garden. While working above Thames Barrier, I was vividly reminded of ‘London Calling’, and how this structure was built to save London from submergence. The project designers, of course, haven't factored in global warming, and now a second barrier is all but a foregone conclusion. Yet, the more we divert rainwater into plant growth, the better we're for it, and our wildlife for that matter. As for sense of place, nothing's as captivating as framing a rooftop garden vista of urban landmarks – a one which the client fell in love with – truly defining a sense of home. 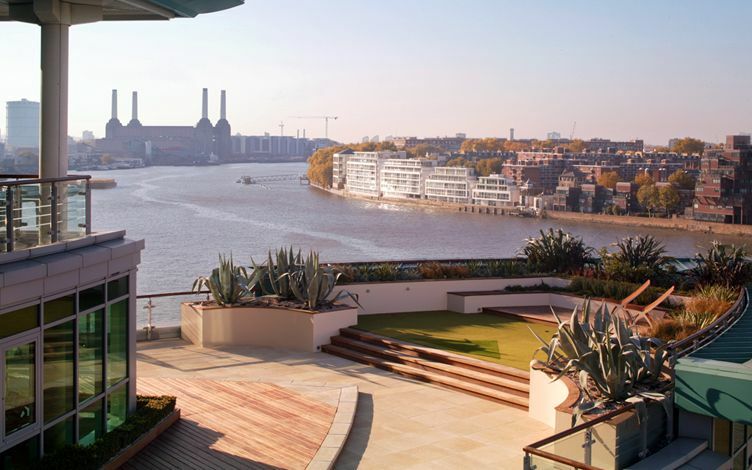 Follow the Thames' topography, and there's a river roof terrace in every elevation along its meandering course. While emergent, solemn architecture conjures a clustered skyline of sombre glass, heaps more should be done for our environment in greening unusable concrete to generate a far cleaner London, and since the futurescape is truly here – let's make it green! 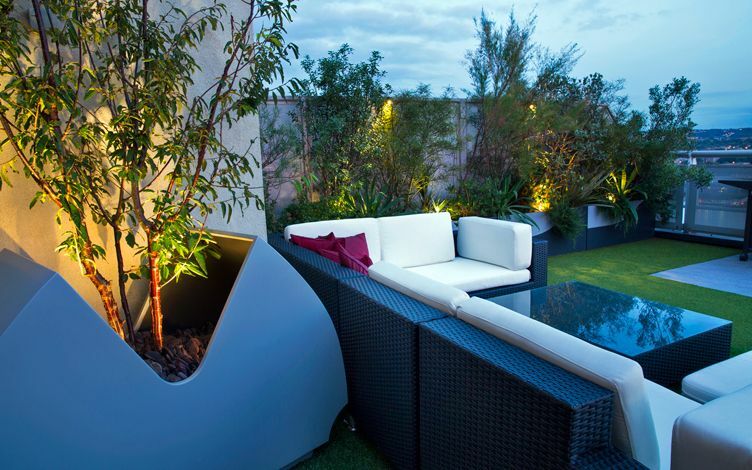 We design mostly for private individuals, and as such our methodology freely champions contemporary though liveable roof terrace gardens; in orchestrating these soaring urban spaces, we continually generate usability and sustain wildlife. The overbearance of an architectonic horizon indeed requires softening with verdant havens to produce cleaner air across diverse London roof gardens!